Thick, 1" wide, leather halter with finished edges. Double stiched. 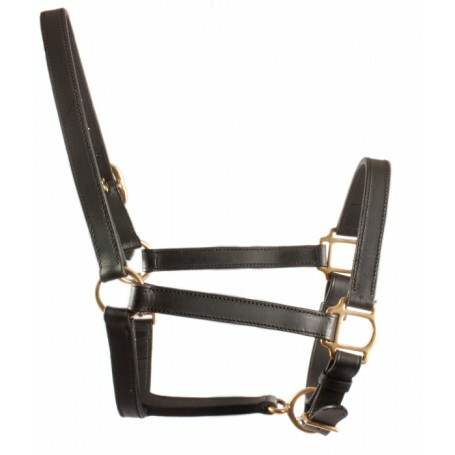 I received this halter last night, and was absolutely shocked at the high quality leather and brass fittings used. I figured for a halter at this price, I would get something that was passable, but not that nice. Boy, was I surprised! Thank you Saddleonline.com! You have definitely earned my business!